Magnificence Day and Night Melt-In Cream-Gel reduces the appearance of fine lines and wrinkles for a softened and youthful texture. A liposome protein complex with pomegranate and silk tree extract promotes collagen production and cellular renewal while rice powder mattifies your skin. The gelatinous texture absorbs quickly into your palette to deliver a radiant and healthy finish. 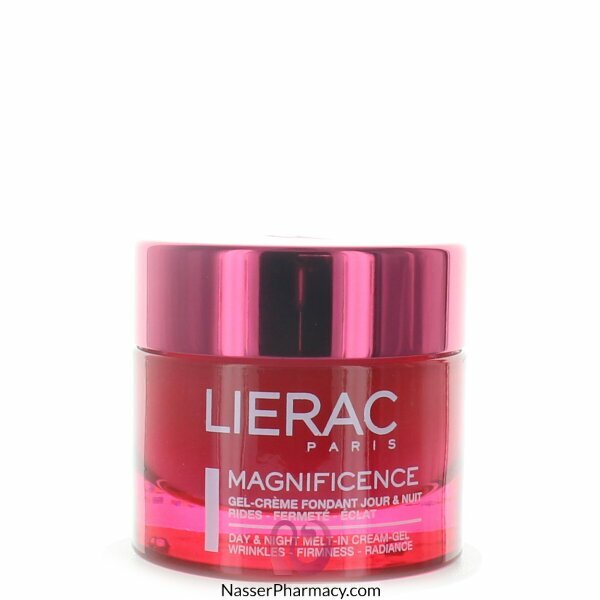 Apply morning and evening, alone or on top of the Magnificence Red serum.